RenWeb School Management Software gives you, the busy parent, an opportunity to get more involved in your child’s academic progress and future success – all via the Internet! 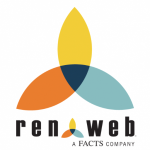 RenWeb’s ParentsWeb is a private and secure parents’ portal that will allow parents to view academic information specific to their children, while protecting their children’s information from others. You may view your child’s grades, attendance, assignments and conduct, as well as other useful school information and announcements. You can also communicate with teachers and other school staff online whenever necessary. All you need is an Internet-capable computer. Make sure that the school has your email address in RenWeb. In Internet Explorer, Firefox, or Safari, click this link. This is the Renweb link on the bottom of our WCA home page. If the district code is blank, be sure to enter WCA-IL for Westlake. Click Create New ParentsWeb Account. This will next ask you to enter the email address Westlake has on file for you. If you enter an email that is not on file, you will get a “Code 2” error. Please contact our office and ask to update your Renweb account with the correct email. After typing your email address, click Create Account. An email will be sent which includes a link to create your ParentsWeb login. The link is active for 6 hours. Select the Click to Create your ParentsWeb login link. A web browser displays your Name and RenWeb Person ID. Type a User Name, Password, and Confirm the password. Click Save User Name and/or Password. You may now log in to ParentsWeb using your new User Name and Password. For a quick access, click the Renweb link on the bottom of the WCA home page, then bookmark the ParentsWeb login page when it comes up. For a brief introductory video about ParentsWeb, click here. The password to access the video is ParentsWeb.